Looking for the perfect gift for that reader on your Christmas list? Or just a little holiday spirit? 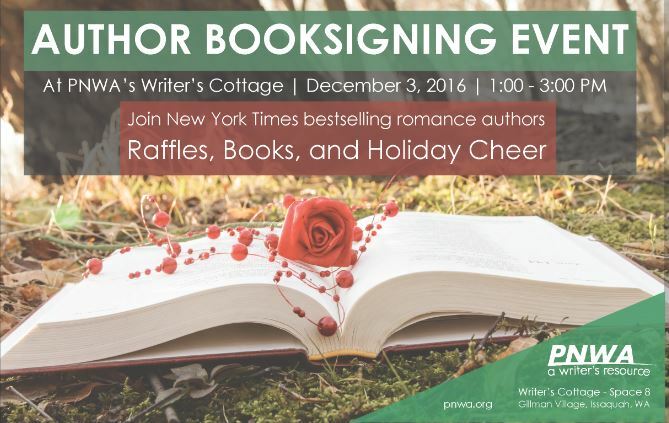 Join me, Pam Binder, Sabrina York, Deborah Schneider, Pamela Mohn, Diann Shope, Shirley Smuda and Heidi Hostetter for a cozy Christmas book signing. There will be music by world-renowned bagpiper Neil Hubbard, raffles for gift baskets, and door prizes. Come join the fun!